Harrogate's "trailblazing" fleet of electric buses is currently being powered by a diesel generator. Harrogate Bus Company unveiled eight electric buses in July, announcing a five year vision to make Harrogate a low emission bus town. But in a statement, the company revealed it needs a generator because it is struggling with "infrastructure". Funding for the fleet came from a £2.25m grant from the government's Low Emission Bus Scheme. 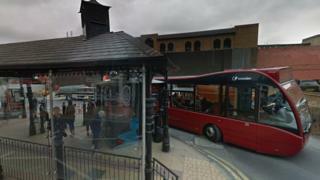 Harrogate Bus Company provided a further £1.7m. The company's general manager, Keith Roebuck, said that more than three months after the ambitious upgrade, the fleet is still being charged by a low-emission diesel generator at its Station Parade base, the Local Democracy Reporting Service reported. Mr Roebuck said the generator was a "short term interim measure" while the company worked through a "red-tape infrastructure issue". He admitted it was not the "ideal scenario", and the company is working towards a permanent solution. "We were expecting to come up against challenges, as inevitably we would as trailblazers of brand new technology," Mr Roebuck said. "We're working hard to resolve the red-tape infrastructure issue which is preventing us from using the electric chargers as we had planned. "Once we have resolved the issue, the chargers will be fuelled by a renewable energy contract ensuring that the buses are truly zero emission." The low-emission generator allows the electric buses to be put on local services, while taking 10 diesel buses off the road, he added. Harrogate Bus Company said the town is now "greener" because of the scheme, and will be "even greener once the work is completed." Northern Powergrid will power the fleet from three charging masts at the bus station.